France announces a €200 million allocation for education during the Conference of the Global Partnership for Education. Funding for education will well and truly be France’s priority in terms of development aid for the next few years. EURACTIV.fr reports. Following the conference, organised by the Global Partnership for Education (GPE), the only international fund dedicated to education, President Emmanuel Macron announced that France would increase its financial contribution to €200 million for the 2018-2020 period. It’s a considerable increase of the French contribution, which accounted for €17 million in the 2014-2017 period. France has now become the fourth biggest donor in the GPE, behind the United-Kingdom, which announced a €417 million contribution, the EU (€400 million), and Norway (€260 million). This European rallying has largely contributed to the financial success of the conference. All donor countries collected in total $2.3 billion, according to a statement. Only a third of the world’s governments have acccomplished all of the measurable Education for All (EFA) goals set in the 2000 MDGs, the United Nations Educational, Scientific and Cultural Organization (UNESCO) announced today (9 April). However, this success still remains below the expectations of the GPE, which hoped to collect $3.1 billion. However, the target could be met, as important donor countries such as Germany and the Netherlands have not yet announced their final contribution. “The unprecedented support today, means that the GPE can continue to focus on the most excluded and vulnerable children and work to extend assistance to up to 89 countries, which are home to 870 million children and 78% of the world’s out-of-school children,” said Alice Albright, the chief executive officer of the Global Partnership for Education. Founded in 2002, the Global Partnership for Education helps developing countries support access to education. In return, recipient countries commit to devoting a minimum of 20% of their budget to education, a much higher figure than the average in developed countries. 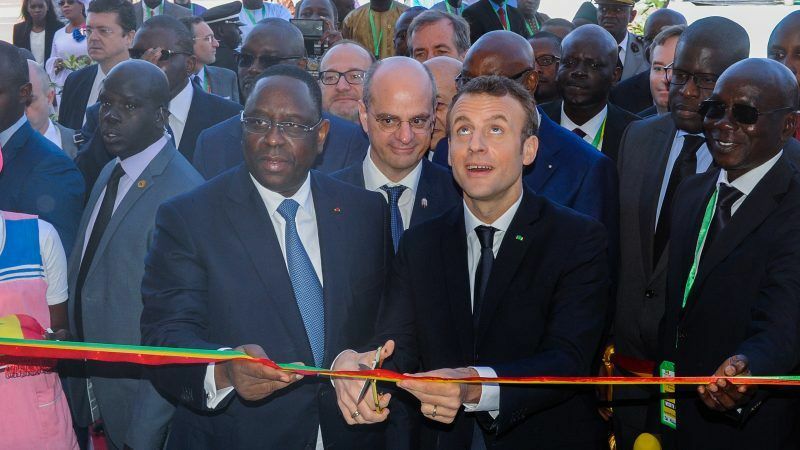 “As a recipient country, it is up to us to increase our efforts in favour of education, this is what we are doing in Senegal by setting aside 25.48% of our budget towards education and training,” stated the Senegalese President Macky Sall, who co-hosted the event along with Macron. In the fight for access to education, Senegal sets a good example. The country’s gross rate of primary schooling went from 67.2% to 84.6% in the space of five years. International rallying for education should particularly benefit schooling for girls. According to data published by the GPE, the probability of girls being excluded from primary school is one and half times higher than it is for boys. In countries subject to instability or conflict, the schooling gap is even wider as 37% more girls than boys do not attend primary school. During his speech, Macron called for international aid on girls’ schooling a priority. “Because wherever an obscurantism agenda is promoted to the detriment of democracy, girls are taken out of school,” he stated. 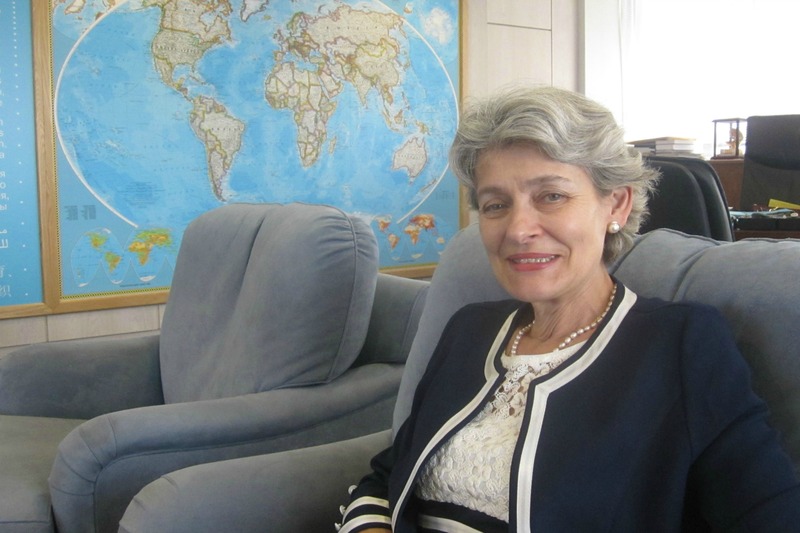 “France has answered the call […] However the Dakar objective has not been reached and there are still numerous challenges to overcome in order to allow 130 million girls to attend school around the world”, said Friederike Röder, the director for France of the NGO ONE. “Education is really at the forefront of the struggle for peace and development,” added Macky Sall. The priority given to education in developing countries should also be reflected in France’s budget. ”Education aid will also be a priority for bilateral aid through the French Development Agency”, stated Emmanuel Macron during his closing speech. Following the presidential campaign, Macron made a commitment to increase French government aid funds for development to 0,55% of gross national income, however, real commitments are still to be made. On 8 February a meeting of the Interministerial Committee for International Cooperation and Development (CICID) will take place, where a roadmap for France’s government aid is due to be disclosed.